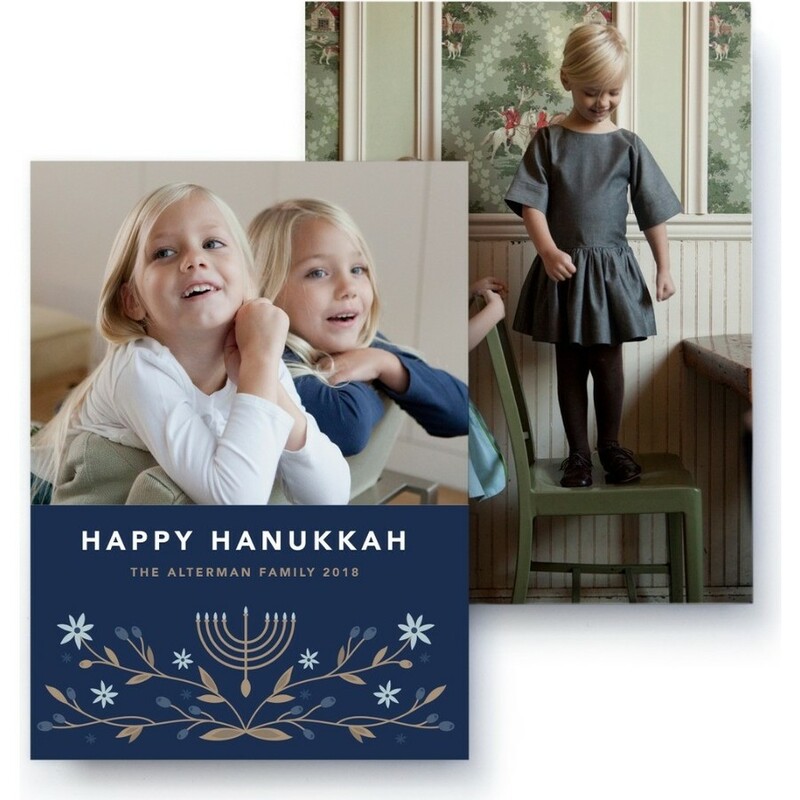 A beautifully simple Hanukkah Holiday Card to send your greetings this year. 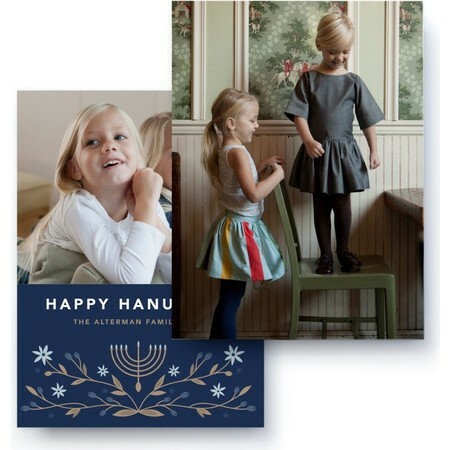 This holiday card features an elegant custom illustration by Kate Tolmie below your family photo. This holiday photo card features 1 photo.